Princess Charlotte wearing the Cariter Diamond Fringe Tiara that was given to her by her father, Louis II. It's in Caroline's possession now. 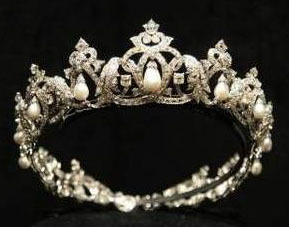 The Halo Tiara - Pearls, Diamonds and Platinum Halo Tiara by Cartier. 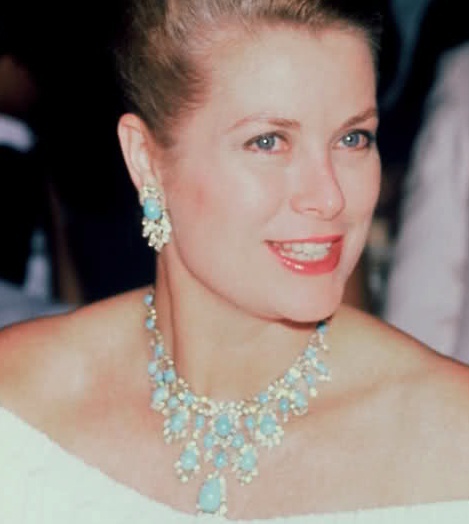 Cartier diamond necklace of Princess Grace of Monaco née Grace Kelly. for Actress Grace Kelly in 1956 at the Fifth Avenue VC&A boutique in New York. They married April 18, 1956. 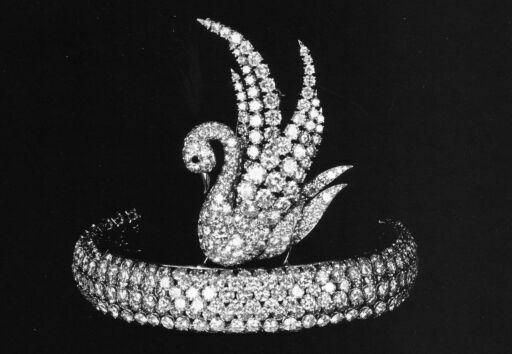 Bain du Mer Tiara. The Cabochon rubies can be removed and used as earrings and broaches. 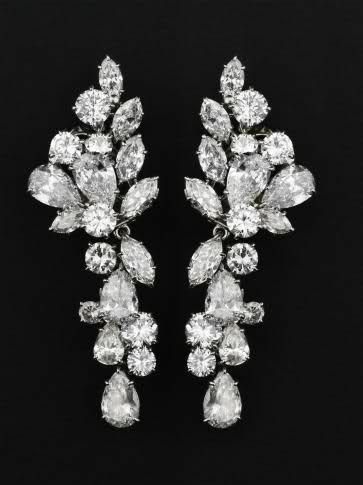 Diamond earrings belonging to HSH Princess Grace. 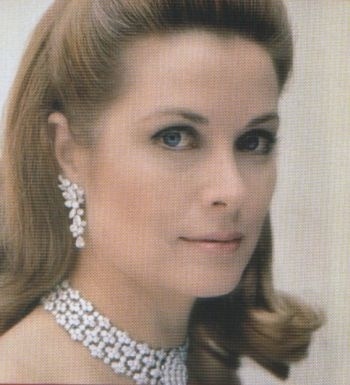 Princess Grace's Small Diamond Tiara. 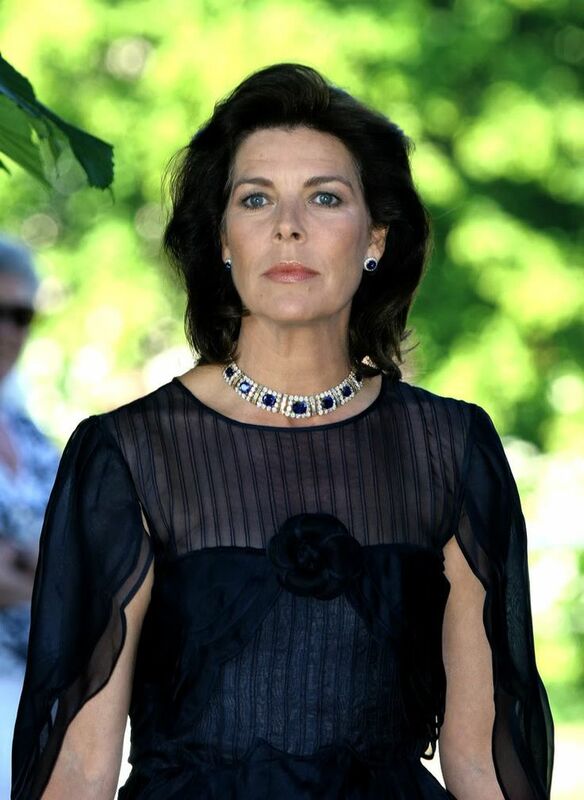 Now belonging Princess Caroline of Hanover. 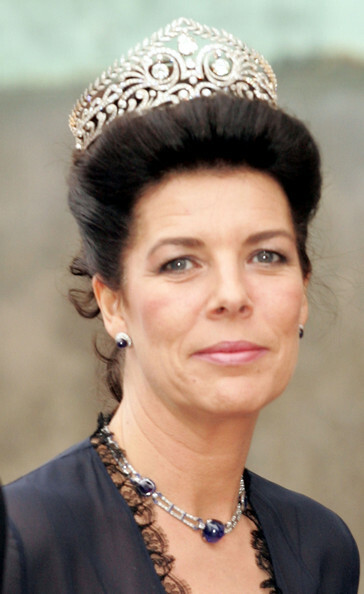 She was ordered by Grace to share the Royal Jewels with Princess Stephanie. The Princess Charlotte cabochon sapphire and diamond demi-parure. 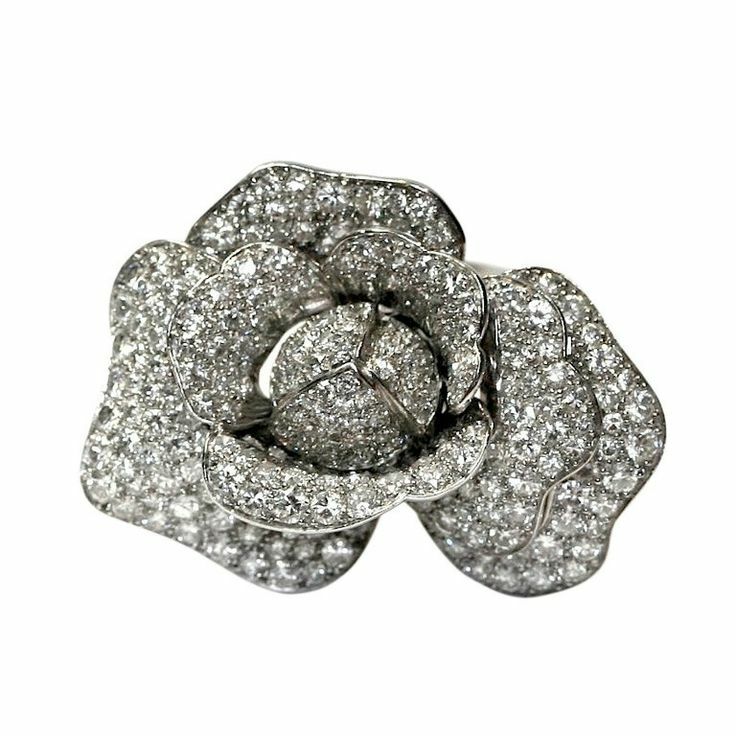 The set was made by Cartier, which Princess Charlotte wore at Rainier and Grace wedding in 1956. 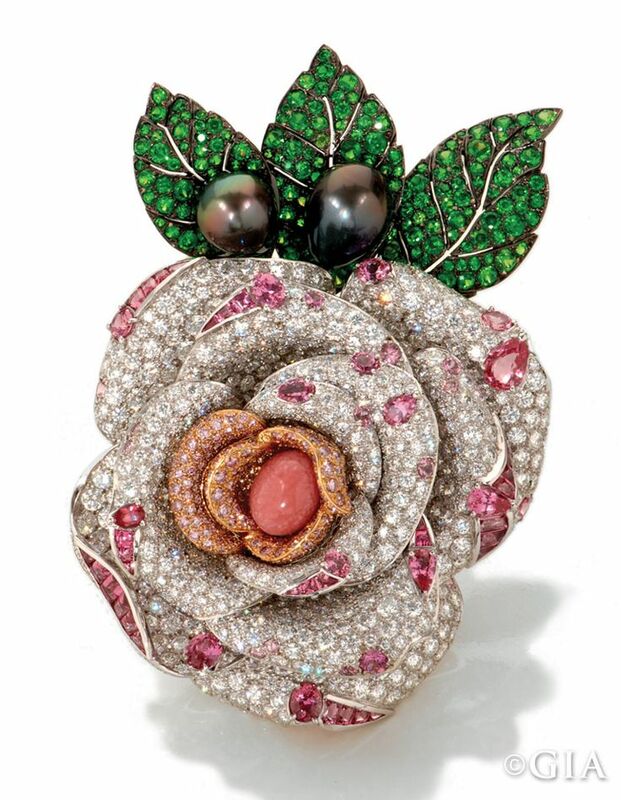 The parure includes a necklace, earrings, and a pair of brooches. I haven't either. 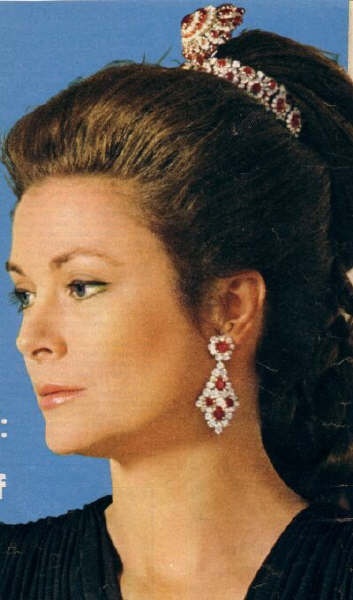 During my searching yesterday, I read someplace that all the major pieces belonging to the late Princess Charlotte of Monaco, Duchess of Valentinois were given to Caroline, because she couldn't stand Grace. As the illegitimate daughter of the future Prince Louis II of Monaco and Marie Louvet. Louis’ father, Prince Albert I, had a law passed recognizing Charlotte as Louis’ heir and part of the sovereign family. However, this law was later ruled invalid under earlier statutes. So, in October 1918, another law was passed allowing for the adoption of an heir with succession rights. She should have known better, but was as horrid, as other nasty mother in law's. We don't know how many pieces Caroline got from her, and if in fact Charlotte had so many to begin with. Very little on her to find. 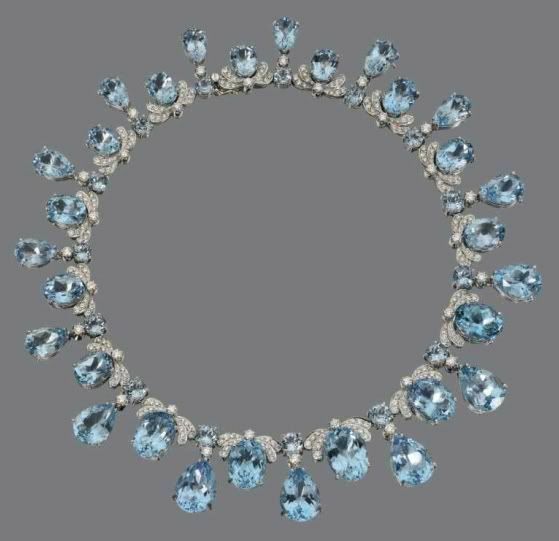 Prince Rainier did not want that all the jewelry belonging to her mother was given to princess Caroline, Princess grace was still alive when Princess charlotte died in 1977, Princess Caroline received some big pièces but the other jewelry stayed in the Grimaldi family. right. Hence my comment that Caroline got all the major pieces. I haven't seen anybody but her wearing e.g. the Diamond Fringe Tiara, the Pearl Drop tiara, Sapphire set. I think Caroline has her claws in deeply in those pieces. 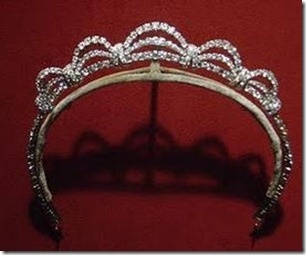 The tiaras, if anything else, should be in the Grimaldi family vault of all places, accessible to all. ITA PeDe. 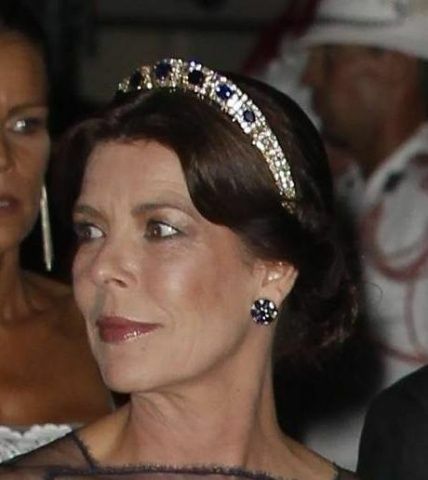 It seems ridiculous that the consort of the reigning Prince should not have access to the better jewels in the family. What will Caroline do with the jewels leave them to Albert or Gabriella? That is what she should do. I bet they go to Charlotte or her other daughter Princess Alexandra. Might be a chance of some of them going to DILs Tatiana or Beatrice. Cant see them going to Gabriella or going back into the Grimaldi vault. Dont think she will give to Charlene or Gabs. Caroline will pull a revenge from the grave stunt like her grandmother did to Grace. the issue with this though would be, that none of Caro's children are royal. 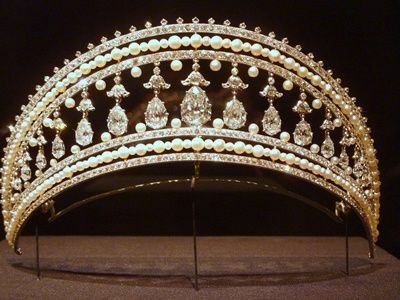 Charlotte could have already worn a tiara e.g. the issue with this though would be, that none of Caro's children are royal. ALbert may require that a goodly portion returns to the vaults but I still wouldnt put it past Caro to get the last word! 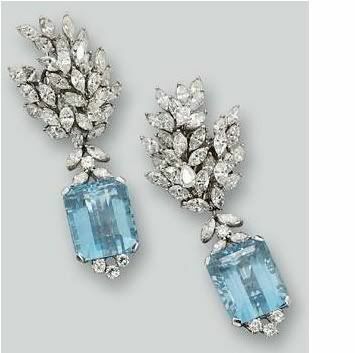 I read somewhere after Stefano died Caroline sold some of Graces jewelry to cover his debts. WOW..I didn't know that....that's nasty. Those pieces should have been divided between Caroline and Stephanie. I wonder what else she kept back and sold it.